Craig Anthony Washington, former Congressman from Houston, Texas, was born in Longview, Gregg County, Texas on October 12, 1941 to Roy and Azalia Washington. He attended Prairie View A & M University in Texas and received his B.A. in 1966. In 1969 he graduated from the Thurgood Marshall School of Law at Texas Southern University. Washington commenced practice as a criminal defense lawyer and is a partner in a Houston law firm. Soon after embarking on his private career, Washington entered politics and was elected a member of the Texas House of Representatives. He and George Thomas “Mickey” Leland served together as freshmen members of the Texas legislature in 1973-1975. Leland in 1978 would be elected to represent Texas’s 18th Congressional District, succeeding retiring Congresswoman Barbara Jordan. 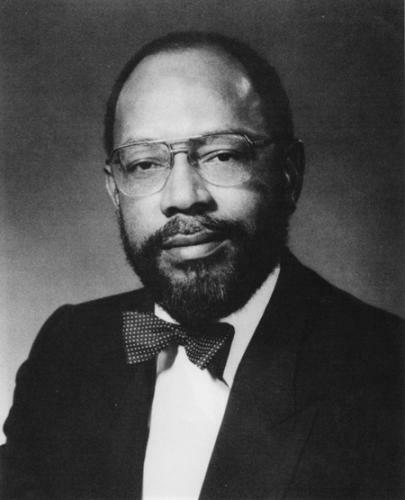 Washington continued to serve in the Texas House of Representatives until election to the state Senate in 1983, where he served for the next 6 years. As a member of the state legislature, he served as chairman of the House committees on criminal jurisprudence, social services and human services and as chairman of the Legislative Black Caucus. In the Texas House of Representatives and the Texas Senate, Washington was a leader on various civil rights issues, particularly the efforts to increase the participation of women and people of color in the state government. He opposed the bills which favored the North American Free Trade Agreement and NASA because he felt those resources should be used to assist middle class and lower income families. Washington supported legislation that restricted state investments in companies that did business in South Africa. He also supported legislation extending the state’s anti-poverty programs and which favored AIDS research. In August 1989 following the death of his friend, Congress Mickey Leland in a plane crash in Ethiopia, Washington emerged as the leading candidate to fill Leland’s seat in Houston’s Eighteenth Congressional District. Washington entered the non-partisan primary only after Leland’s widow, Alison, decided not to run for the seat. Washington won in a special election held on December 9, 1989. He was sworn in on January 23, 1990. Washington served until January 1995, when he was defeated in the Democratic Primary by Shelia Jackson Lee who won the November election to become the Congresswoman from the District. Washington who has five children and four grandchildren currently resides in Houston where he practices law.